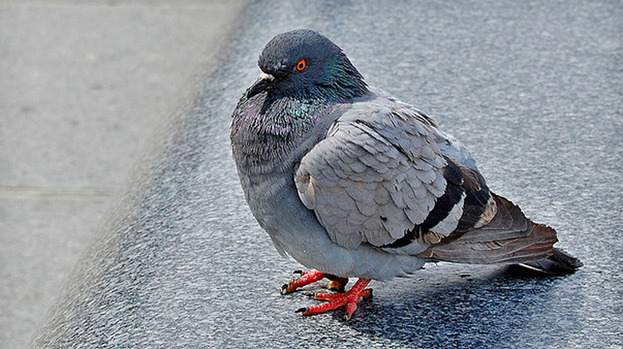 Pigeon is the most common bird in the world, and you can find it where ever you go. These birds are incredibly intelligent and complex creatures. The most interesting fact is that pigeons like humans are capable of the “mirror test” and can recognize them self. Just a small number of animals can do that. The scientists have proven that pigeons can recognize all of the letters of the human alphabet, know one photograph from another, and even know a human face within a photograph. One thing that makes a pigeon famous is their top navigational skill. The pigeon can know its location by using the sun, landmarks, roads and internal compass. And that’s why it was a valuable communication medium thru history, as a message carrier. These birds live in highly complex and social groups of more than 20 individuals. And pigeons find a mate for life, when two pigeons connect they stay together for years and always nest together. The pigeon nest usually contains two eggs, and parents can have more than one broad a year. Pigeons are very clean birds, and will always keep their feathers in order. The usual perception of these birds as dirty or caring diseases are wrong and have no base in reality. These pigeon bird house is made of wood. There are two separate nest chambers divided by a wooden wall, so two pigeon families can nest. The two entrance holes are larger in size so pigeons and doves can use them with ease. Smaller birds will not nest in these large open boxes. 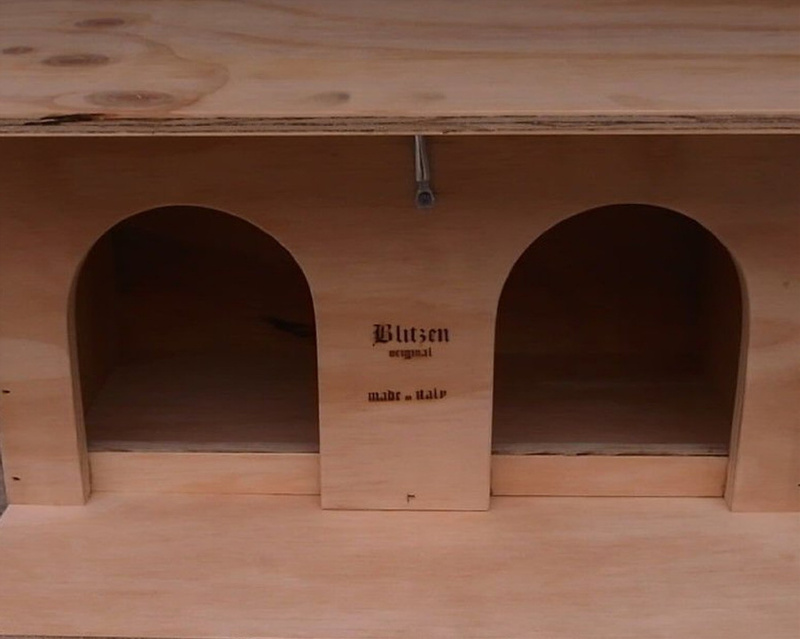 The pigeon bird house is made with a roof that protects the birds from the rain. There is a platform in front for the birds to rest and is covered by the roof. Each opening is designed with a protective threshold so the eggs cannot fall out of the house. The cleaning of the pigeon bird house is easy, you just need to unhook it and lift it whenever you want to reach inside. This pigeon house can be placed on side of a house, shed, or even a tree. The pigeons like to be left alone and not to be disturbed. So you must place it out of the direct sun light to prevent over-heating, and to close to noise. Pigeons are intelligent birds, and if you leave food for them on a regular basis, these birds will know your face and will come to trust you. They can know one person from another and if you feed them next to your pigeon bird house these birds will always come back each year to nest. Pigeons can be very good pets, but never take a baby pigeon out of the nest. If you want to know what do pigeons eat read this article, and if you found a baby pigeon there is a good chance you can raise them to be healthy birds.